For this school project, each design student was given a random item. I received a camera lens duster. The task was to build a brand around this item and make a brochure about it. Since the appearance of this product is quite underwhelming, I was put to the task to showcase its epic functionality. Keep scrollin’ for design process. I started by quickly sketching ideas that represented the brand. Because of its un-inspiring appearance, I aimed to develop a look that showcased the product’s epic cleansing functionality. I used crystal’s and jewels as design inspiration which promoted the upscale and pristine identity I wanted to create. 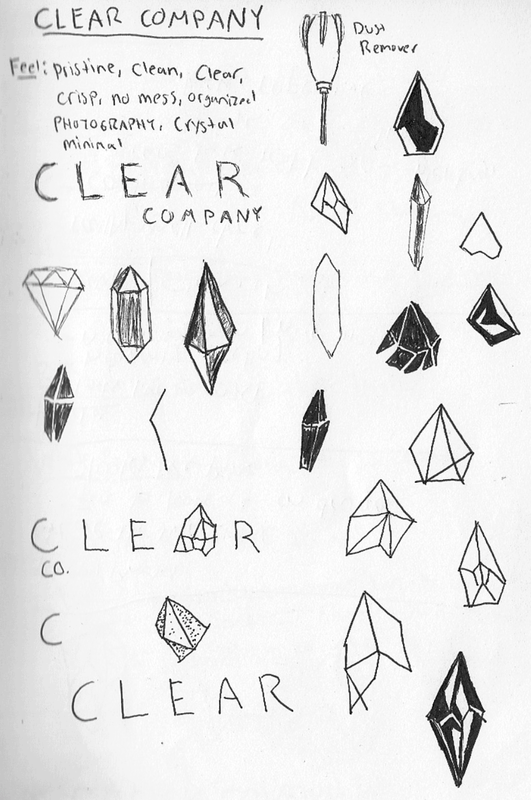 After deciding that the name of the company would be Clear, I started developing the logo with crystal geometry in mind. I experimented with a wide range typefaces and shapes to find the perfect blend of elegance and pristine. 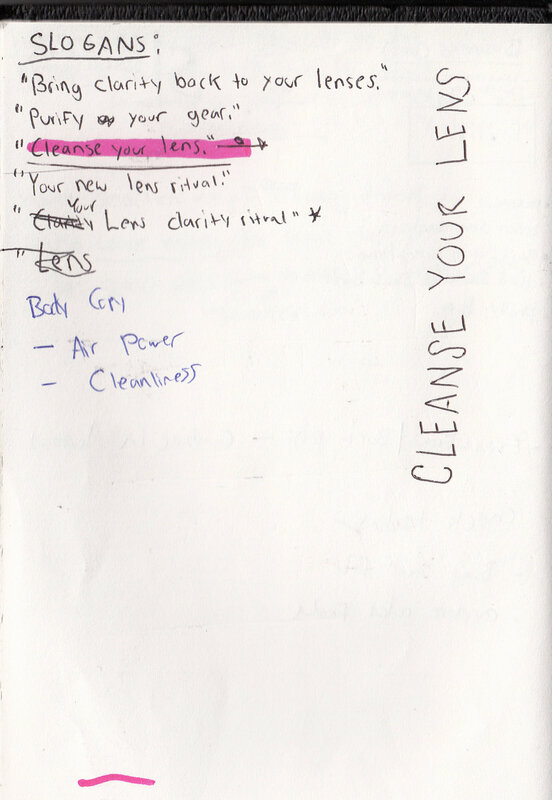 Here are a few early iterations. In the end, Gotham was my font of choice for its geometric structure and modern readability. The font also paired nicely with my geometric line art by not interfering or over powering it. Final result; upscale, modern, and pristine, just like your lens after you clean it. 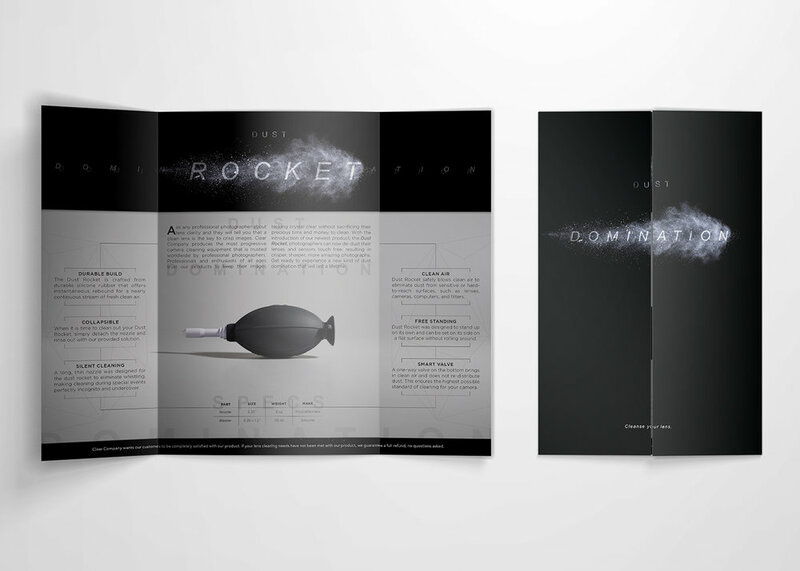 By mixing Gotham’s versatile weights and options into the brochure’s visuals, a streamlined hierarchy of information was established. Gotham promotes Clear’s vision of being a fresh, bold, innovative and modern brand. By mixing typography with epic dust visuals, I aimed to elevate the overall brochure experience. For the brochure’s imagery, I knew that something epic needed to appear to enhance the product’s boring appeal. 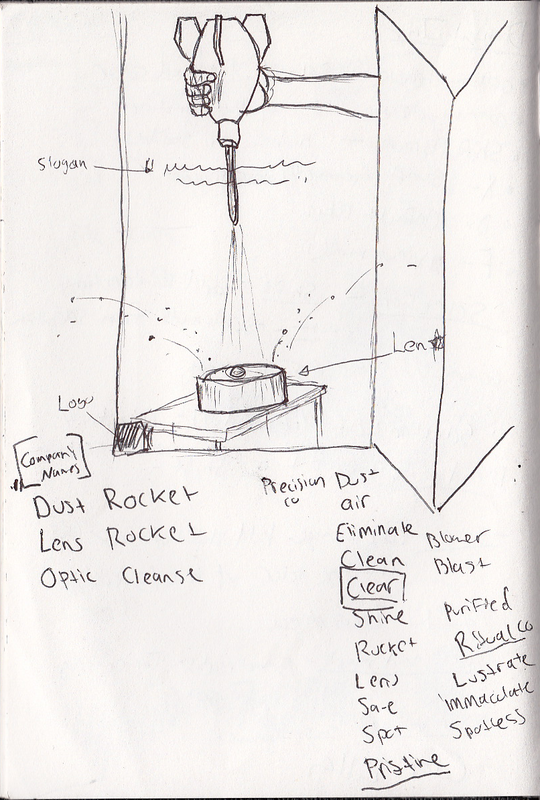 I decided to create an epic burst of dust, symbolizing the product’s ability to blow dust away from a camera lens. After experimenting with lackluster photoshop brushes and textures, I realized that authenticity could only be captured in physical form. I set up a photoshoot, allowing me to blow dust into the air. After testing different types of materials such as baking soda, flour, and actual dust, I found that flour had the most dramatic look. Below is the chosen photo that made it into the final brochure.